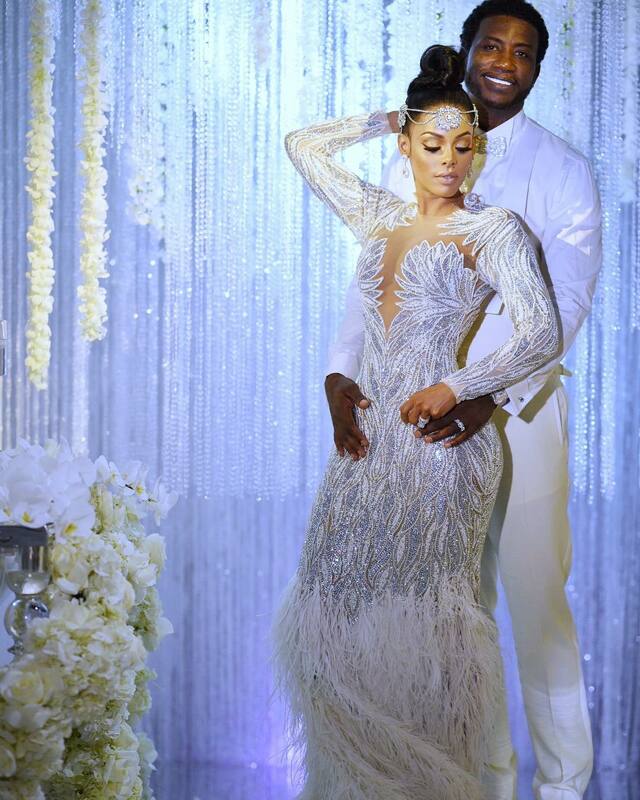 American rapper, Gucci Mane got married to his love Keyshia Ka’oir who is a model, beauty and fitness entrepreneur. The wedding ceremony was a beautiful display of luxury and lots of bling. 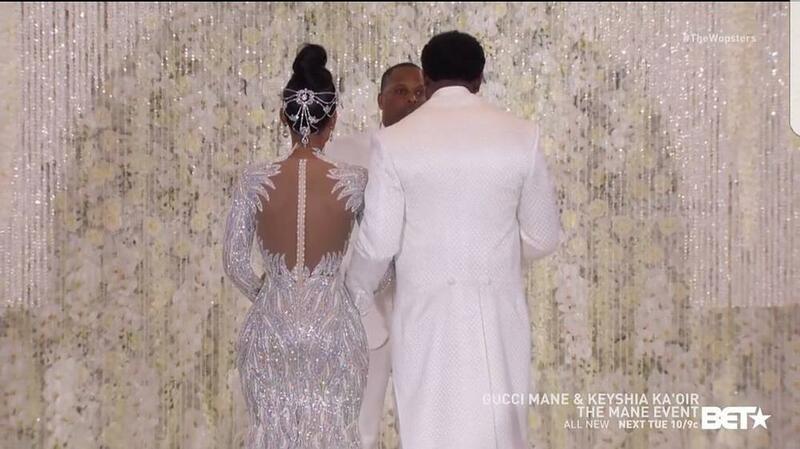 The all-white ceremony held in Miami and was aired live on BET last night. 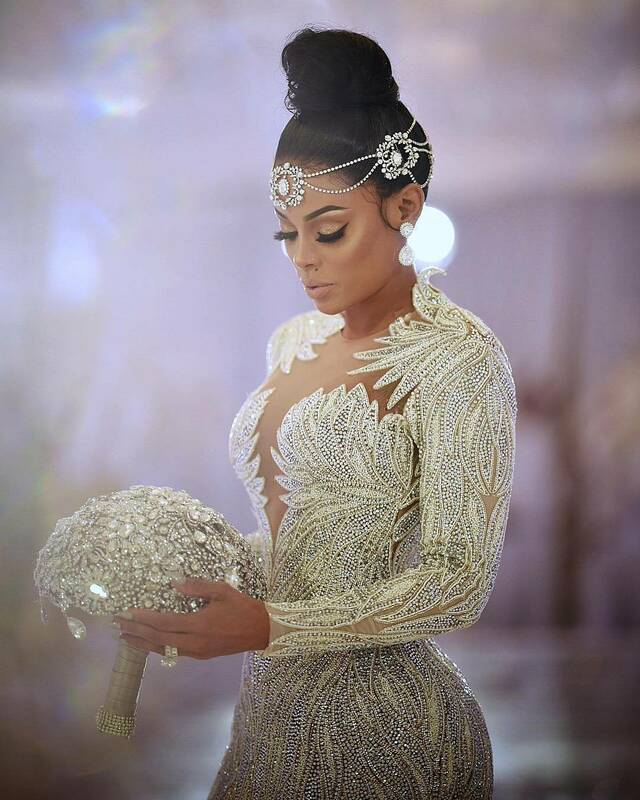 The bride looked so gorgeous in her fully blinged-out wedding dress by Charnel Zoe Couture which she paired with a unique headpiece. Her bouquet matched the bling theme too. The couple gave out Swarovski crystal-studded invitation to family and friends which brought in a Nigerian connection as the invitations were by Oda Creative owned by Nigerian-Americans Ndidi and Folasayo. 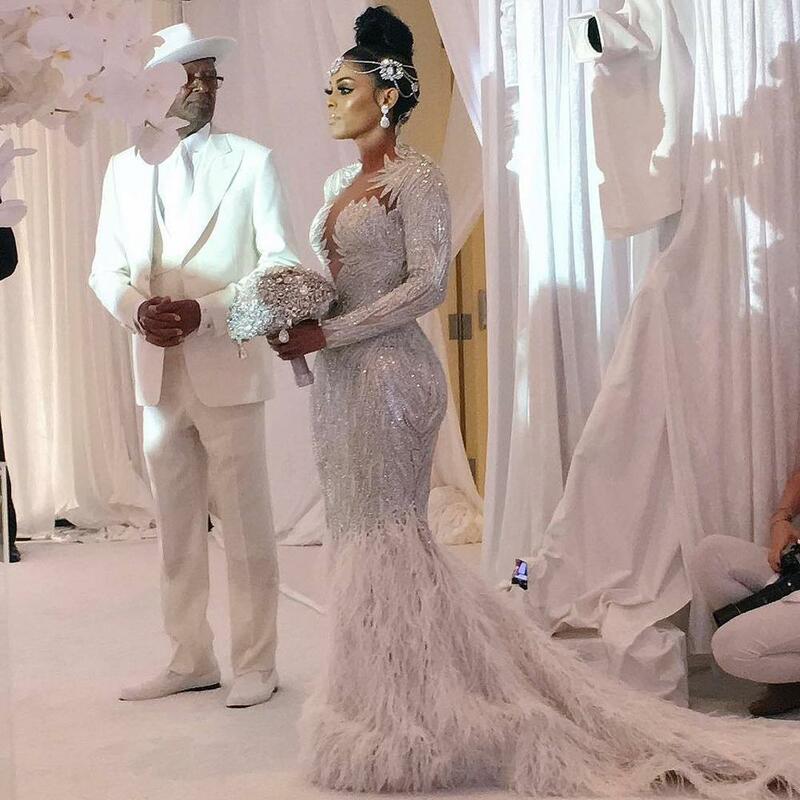 Ahead of their wedding, Gucci bought Keyshia a blue Rolls-Royce Wraith to match his red one. In return, Keyshia got him a diamond jewellery piece. The televised arrivals were hosted by Karrueche Tran and Kendall Kyndall. 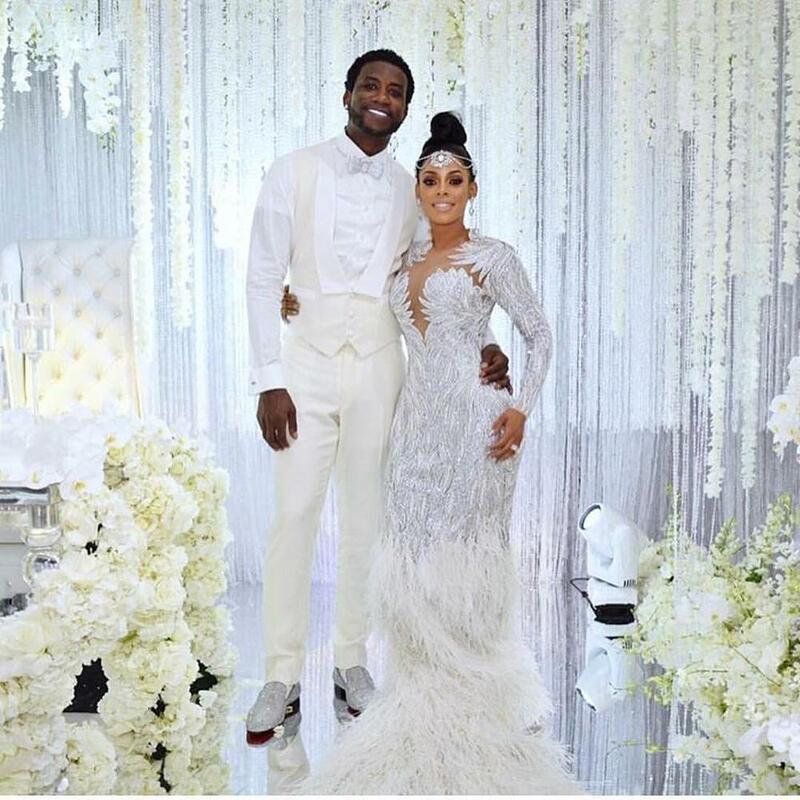 BellaNaija Weddings wishes Gucci and Keyshia a lifetime of happiness together.